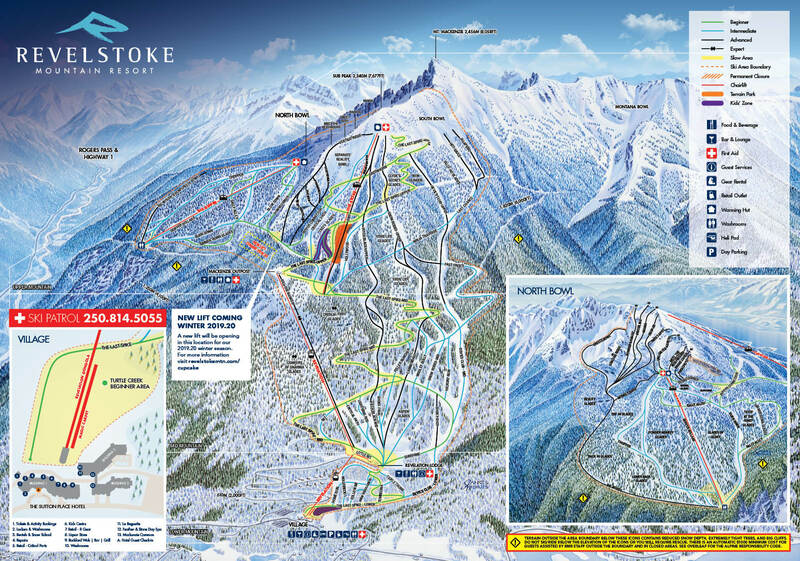 Revelstoke Mountain Resort Trail Map & Escape2ski provide guidance to chairlift information & terrain layout for skiing & snowboarding at this ski resort. If you are unfamiliar with this mountain’s terrain, please consult the Revelstoke Mountain Resort Trail Map, which will offer you guidance on the terrain that is best suited to your ability. Remember, mountain terrain conditions and visibility could possibly deteriorate quickly as weather patterns change.